If you landed to this page of my blog somehow, then I would like to inform that this is an old introductory post I made on T.Harv Eker’s masterclass related to his program, now I have created an in depth user review which you can read here – The Spiritual Laws of Money by T.Harv Eker Review (Yeah, they changed the name of the product). 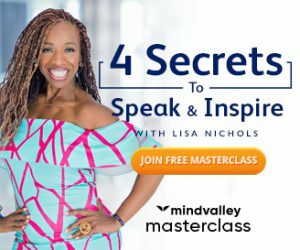 I received an email recently from Mindvalley regarding a new event about the launching of a program named secrets of a spiritual millionaire, so I went to check it and found that it’s T.Harv Eker’s new program. In this upcoming free event he is going to take it all to the next level and teach how a person can be spiritual as well as wealthy. Let us see what this free class is going to cover in a bit detail. People often think that every rich person in this world has no peace of mind. “Money Making” is always considered as something that will take away your serenity. This is not true at all; there are many multi-millionaires who are living a peaceful and happy life. This free class will be teaching how a person can be a content, happy and balanced as well as rich. There is a false belief that has been present in our societies from a very long time that a person cannot be both rich and spiritual. Money is considered evil and all the mental blocks that holds a person back from being wealthy is related to this one belief in one way or another. 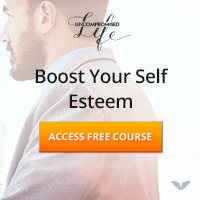 If you are not having the financial freedom that you desire right now, then it is sure that your subconscious mind holds this belief that earning a lot of money will make you a bad person. Consciously, it is not that easy to spot such beliefs that holds us back but, our relationship with money says it all about what our subconscious beliefs about it. Precisely, these beliefs are blocks that keeps prosperity away from us. T.Harv Eker is going to uncover 8 such blocks in his class. The class will also be providing proper action plans that will help a person to get rich doing what he loves to do. These action steps are the ones that led T.Harv Eker to become a millionaire in just 2.5 years without affecting his peace of mind, he will be sharing these principles by which he has helped millions of people to become rich as well as content. I hope this post was informative to you, I would be very happy to hear from you so, please leave your comments below.